Feel your most energetic yet relaxed-self by adding Maca root powder to your diet. Maca enhances libido, vitality, energy and mood by acting as an adaptogen to help your mind and body navigate through stressful situations. Maca can also help with hormone-related mood swings and bring you back into balance. 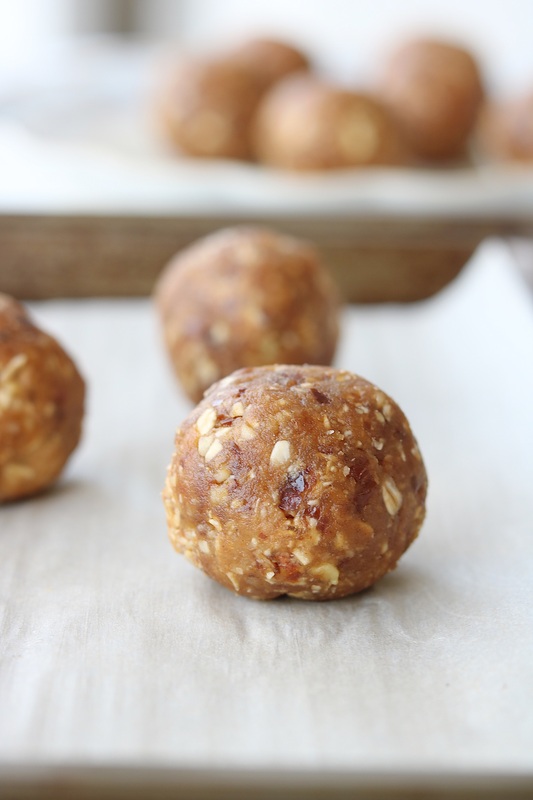 Try adding Maca powder to smoothies, beverages (it makes a killer hot chocolate), or these insanely delicious Peanut Butter-Maca Energy Balls. In a food processor combine all the ingredients (except the water). Process until all the ingredients have broken down and the mixture is sticky. You might want to stop the food processor a couple of time to scrap down the sides and process again. Add 1 tablespoon of water at a time and process to bring the mixture together. The mixture should still feel crumbly but hold together. Transfer the mixture into a medium bowl. Using a 2-inch ice-cream scooper, form into balls.